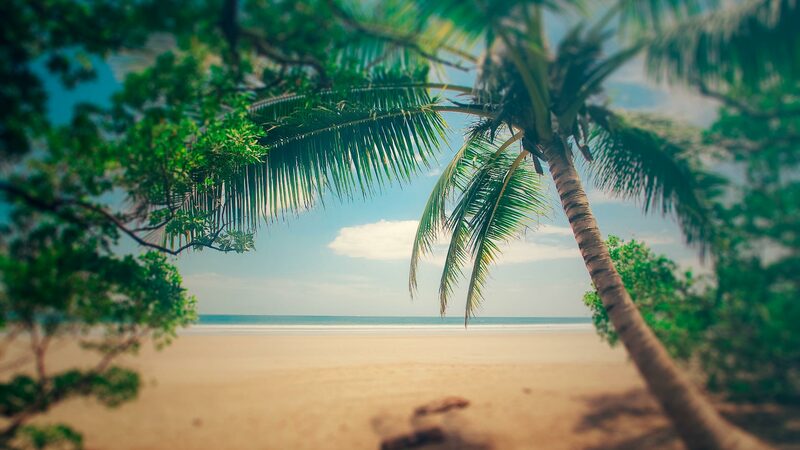 Nosara is a cocktail of international surf, wellness and yoga culture pitched against beautiful back-road topography, tropical microclimates, exotic vegetation, abundant wildlife and is an ideal location for a Costa Rica Surf Trip. 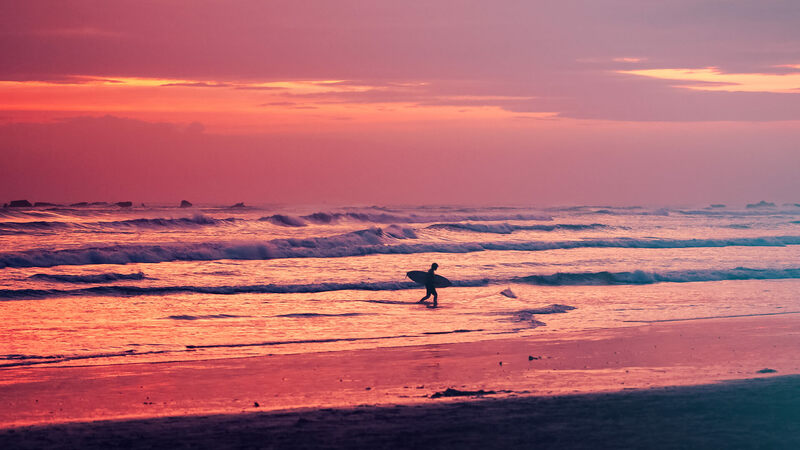 Traditionally a fishing and agriculture province, the first surfers from the United States arrived in the early 1970s and discovered the world class surfing waves and “pure vida” lifestyle on which the tourism industry now thrives. 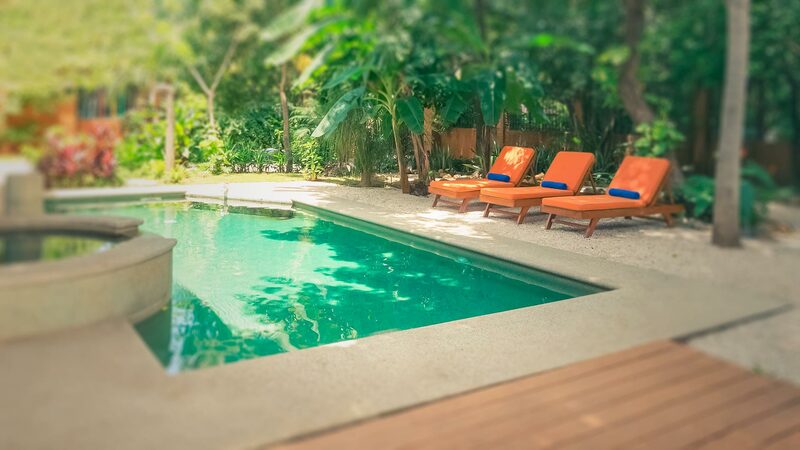 Nosara is much less crowded and developed than the beaches of Tamarindo, Jaco, and Dominical. There are no streetlights or paved roads in the province and no developments built upon the beach of Playa Guiones thanks to a 200-meter turtle refuge exclusion zone. Monkeys swing through the trees above a tropical blend of flora and fauna, making for a stunning backdrop to our performance surf program. 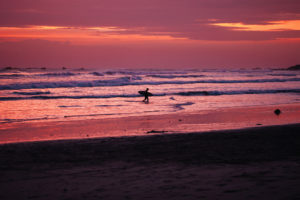 Playa Guiones enjoys a reputation as one of the most consistent breaks in Costa Rica, picking up both North and South facing swells. 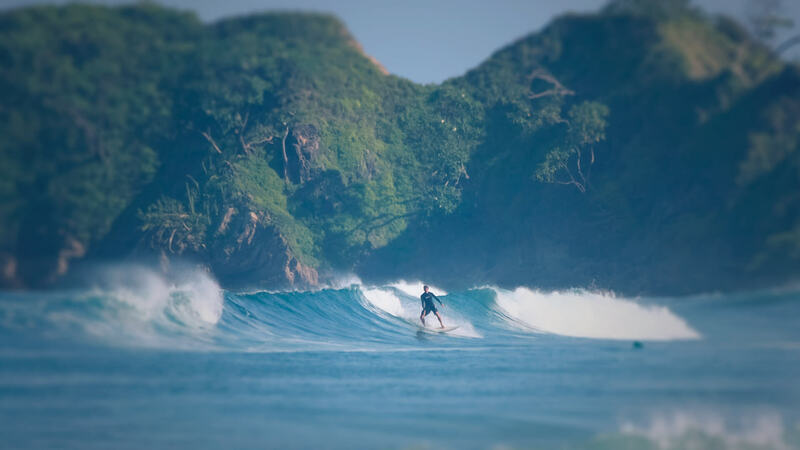 There is an abundance of waves in the area from the multiple peaks in the Playa Guiones bay, to ample breaks, beaches, hidden waves and secret spots to the North and South. The Guanacaste region on the Pacific side of Costa Rica is littered with insanely consistent fun surf spots we will be venturing too. We will base of days surf session on the current swell direction, wind direction, and tides to treat you to some of the best surf in our area. Having local surf coaches / guides will put you in the best waves of the day. We could find ourselves surfing a hollow beach break where we can work on our take off and pull into the barrel technique. We could find ourselves on a nice long reef break to work on our rail to rail transitions as well as our cutbacks. No matter where we end up for the day you will be in the best surf possible for the best results possible! 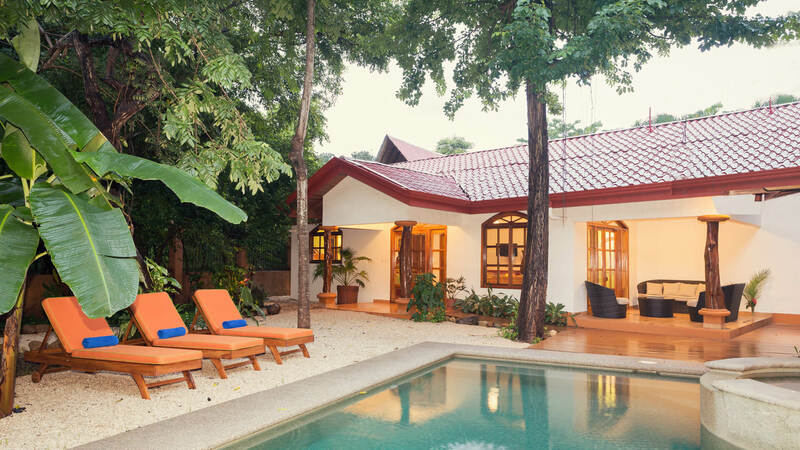 The secret to scoring in Nosara is local knowledge. 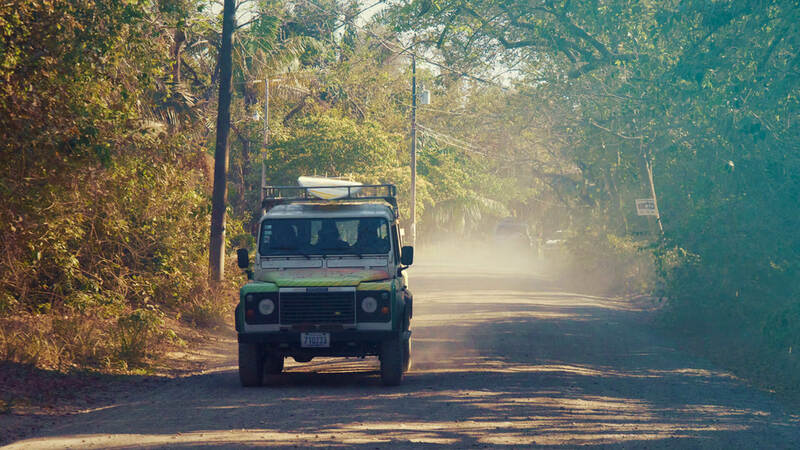 Your Safari Surf Adventures surf coaching program will be led by our experienced and passionate local “Tico” coaches. We will guide you to level appropriate waves and employ the unique SSA training curriculum in and off the water. 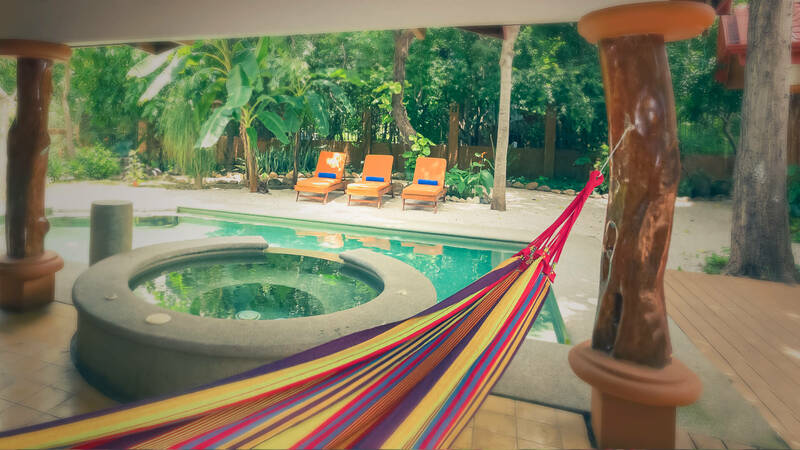 You’ll be staying at a custom home rental a mere 2-minute walk to the beach of Playa Guiones. 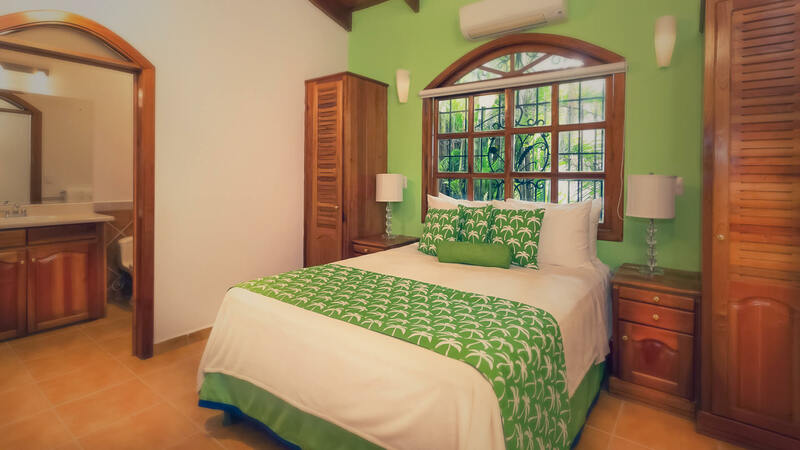 This house was made with surfers in mind and has all the amenities one would like including air conditioned rooms, Wi-Fi, private swimming pool and juice bar, private path to the beach, safe box, surfboard racks, beach cruiser bikes and cable TV. 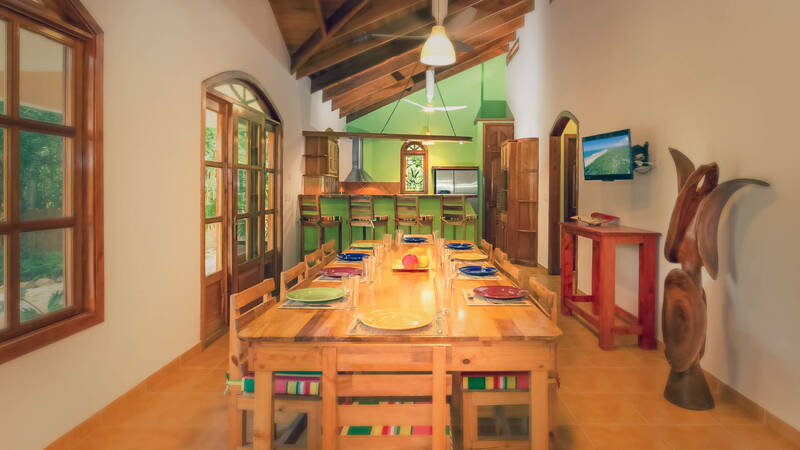 The house has 4 rooms and 3 full bathrooms along with a full kitchen. 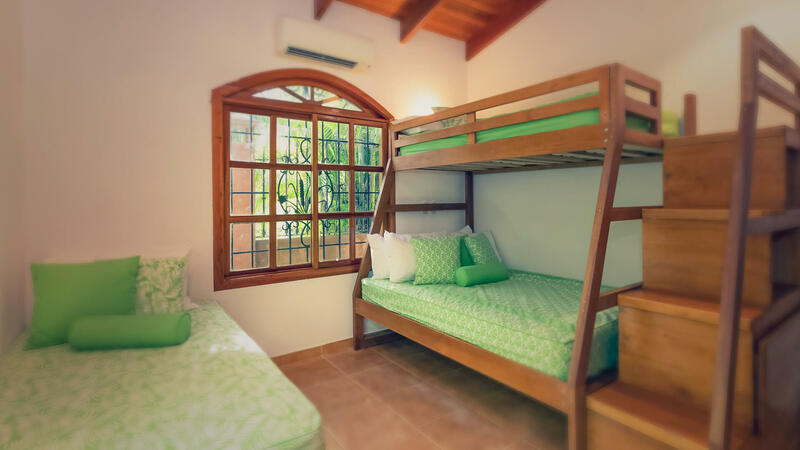 Two of the rooms offer shared room accommodations with a comfy bunk bed set up along with a single bed set up. 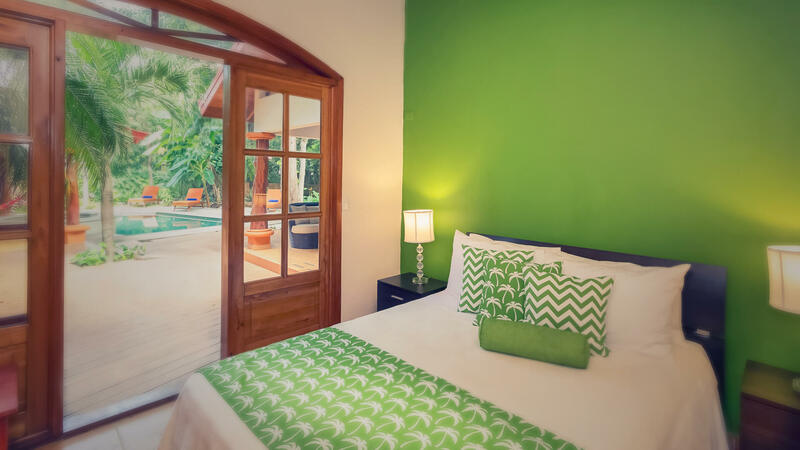 There are also 2 single rooms options which are perfect for couples or a single person looking for privacy. 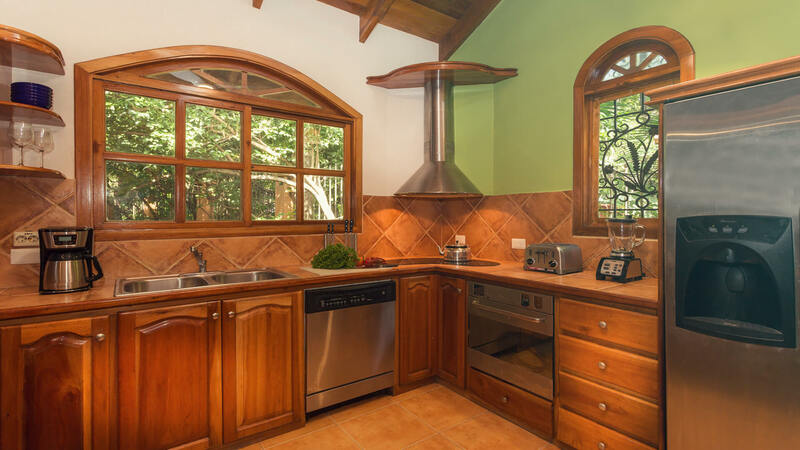 We will have our private chef prepare your nutritious all organic healthy meals daily. 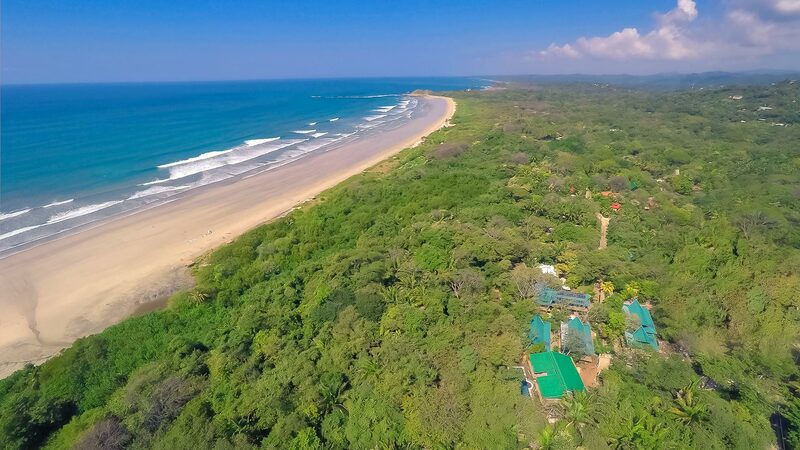 Nosara will be our base while in Costa Rica but SSA will have our van fueled up and ready to explore the slew of perfect intermediate level surf spots to the South and North of our location daily. Each day we will head out with the surf coaches and videographer to find the ideal surf spots for that day. 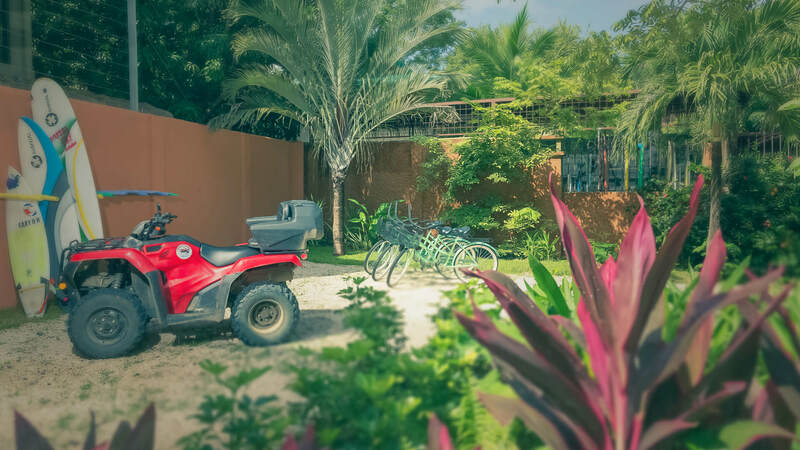 Get your kicks riding the insane trails in and around Nosara!